Green products are very important both to our environment and in addressing concerns of our clients. 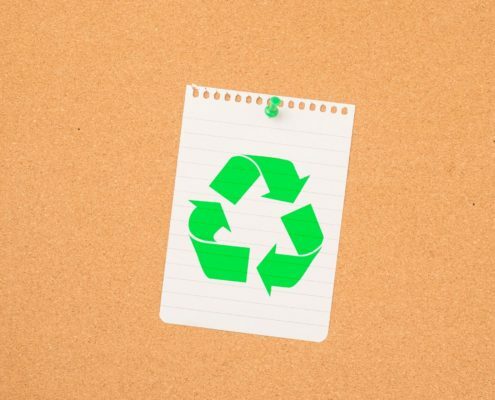 Products made of renewable resources, recycled materials and that are long lasting, recyclable or biodegradable are important to the future of floor coverings and interior finishes. New technology is continually being developed for the products we carry. Wool is a renewable resource and is biodegradable. Once considered only for the affluent, wool carpet is becoming more cost-effective due to new manufacturing technology of natural fibers. Wool is also a product that improves IAQ (Indoor Air Quality) in homes and offices, by acting as an air purifier. Synthetics do not have this capability. Synthetic fibers are using more renewable resources and recycled materials, cleaner manufacturing, and producing a product that can be recycled and last longer. Many carpets are CRI Green Label Plus certified. The CRI Green Label program tests carpet, cushions and adhesives to help identify products with very low emissions of Volatile Organic Compounds (VOCs). So you can be confident you are purchasing carpet that meet the most stringent criteria for low chemical emissions. The Green Label Plus represents the fourth time the carpet industry has voluntarily enhanced the IAQ standard for its products. Many of our wood and cork products are FSC certified identifying that they are from responsible forestry using sustainable forest practices. All of the woods we carry are CARB compliant or better protecting the public from exposure to toxic air contaminants. Whether you have an oiled wood or finished product they are easy to clean and long lasting. Many of our tiles are Greenguard certified, Green Squared and qualify for LEED. These certifications ensure the sustainability of a product reducing negative impacts on natural resources. Tile is easily cleaned without using harsh chemicals and is long lasting. Marmoleum has earned a multitude of certifications for being environmentally friendly including the SMaRT certification. SMaRT is the ultimate standard for measuring a product’s sustainability. Made from renewable resources and biodegradable, it is also long lasting and easy to clean without using harsh chemicals. We carry cleaning products that are bio-based, non-toxic and Neutral PH. By choosing a product that will last, the less waste goes into our landfills. Call us today for a free quote with no obligation. Come in and see the product! Would you like a no obligation quote or just have question. We would love to hear from you. Servicing Northern Colorado including Fort Collins, Windsor, Loveland, Boulder and Denver. We also service Wyoming.